Haha… I look so wanpaku／わんぱく. An undoukai is like a mini-Olympics for kids. One of the events my daughter will be participating in with her preschool classmates is a bonodori ／ぼんおどりdance. They will be dancing to the song “Mottainai Baasan／もったいないばあさん” which is based off of this book (I think it’s about a grandma who warns you to not be wasteful). Anyway, it is a CUTE little dance and easy to learn. You should try it! 1. All about Undoukai from allabout.co.jp (in Japanese): Learn how to get the best pictures, making a special bento box for undoukai, see cool pictures of undoukai, etc. 2. Want to know what kind of music is played at a undoukai? This undoukai dance music CD from Amazon.com looks fun. You can listen to a sample of each of the songs. 3. Kotoba.littlestar.jp has some printable machigai-sagashi worksheets (find the mistakes). Have any of you ever participated in an undoukai? What is your favorite event? Look at you! How cute! Hi Kristii, I think it is wonderful you want to learn Japanese. Will your high school offer any Japanese programs? 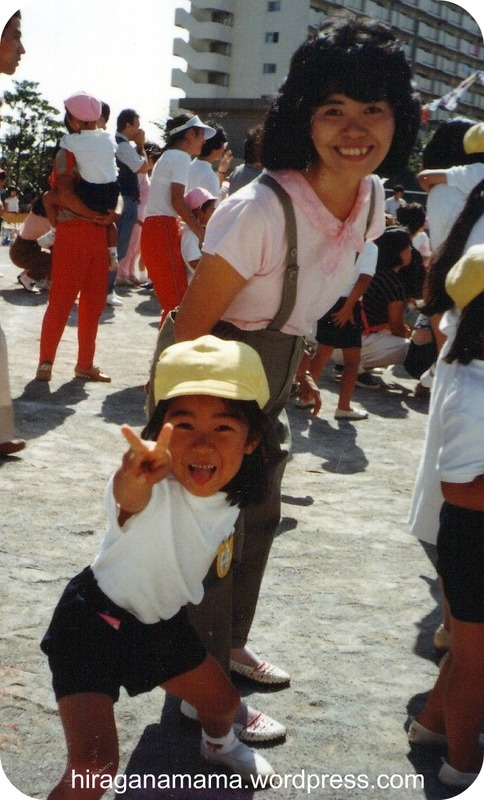 If your mother isn’t Japanese or doesn’t know Japanese, of course it will be hard for her to help you 🙂 There are lots of great resources out there… good luck! Ganbattene.